Comedy TV series are my bag, which is why I’m in search of some more shows like Community on Netflix. Community was a series about a bunch of misfits attending a community college who are all in a study group together…. and hilarity happens, because of course it does! The acting is pretty good, and Community is totally worth your TV time. There are so many different shows that sometimes it can be hard to pick the best shows on Netflix! These shows on this list are the comedies that you binge watch… maybe more than once! Add these shows like Community to your Netflix list! Community is a television sitcom series that aired from September 17, 2009 to June 2, 2015. The series stars Joel McHale, Gillian Jacobs, Danny Pudi, Alison Brie, Ken Jeong, Chevy Chase, Donald Glover, Jim Rash and Yvette Nicole Brown. The series showcases the happenings of a disbarred lawyer who is forced to enroll as a student at the local community college. The college is filled with staff and students that are misfits. I think almost anyone can relate to this show if you went to high school. The series starts off as an extended version of High School, but the one of the show changed as the series went on and it became more outrageous. Here’s the season one promo in case you’ve forgotten what Community is like, or never seen it! Ready for some hilarious shows on Netflix? Here are some TV shows like Community on Netflix to watch. All of these shows are sure to give you a pick me up, and some of my favorite comedy series top this list! Parks and Recreation is a political comedy television sitcom series that aired from April 9, 2009 to February 24, 2015. The series stars Amy Poehler, Nick Offerman, Aubrey Plaza, Chris Pratt, Aziz Ansari and Jim O’ Heir. Parks and Recreation showcases the happenings of the Pawnee Indiana Parks and Recreation Department, who undertake an array of projects in order to make Pawnee a better place. 30 Rock is a satirical television sitcom series that aired from October 11, 2006 to January 31, 2013. The series stars Tina Fey, Tracy Morgan, Jack McBrayer, Scott Adsit, Judah Friedlander, Alec Baldwin and Jane Krakowski. 30 Rock features Liz Lemon, the producer of a comedy show called TGS with Tracy Jordan, while she deals with things like an arrogant boss, an odd staff of writers and corporate interference. The Office is a television comedy series that aired from March 24, 2005 to May 16, 2013. The series stars Rainn Wilson, John Krasinski, Jenna Fischer, Leslie David Baker, Brian Baumgartner, Angela Kinsey, Phyllis Smith and Kate Flannery. The Office follows the lives of the employees at the Dunder Mifflin Paper Company in Scranton, Pennsylvania. Arrested Development is a television sitcom series that aired from November 2, 2003 to February 10, 2006. The series stars Jason Bateman, Portia de Rossi, Will Arnett, Michael Cera, Alia Shawkat, Tony Hale, David Cross, Jeffrey Tambor, Jessica Walter and Ron Howard. Arrested Development showcases the happening of the dysfunctional Bluth family, featuring widower Michael Bluth, who takes over the family business when his father is sent to prison. However, Michael soon discovers that the rest of the family, including his mother who is hypercritical and manipulative, his brother Buster who is socially inept and his twin sister Lindsay who is materialistic, are making his job nearly impossible. So lovelies, have you watched any of these popular shows like Community on Netflix? 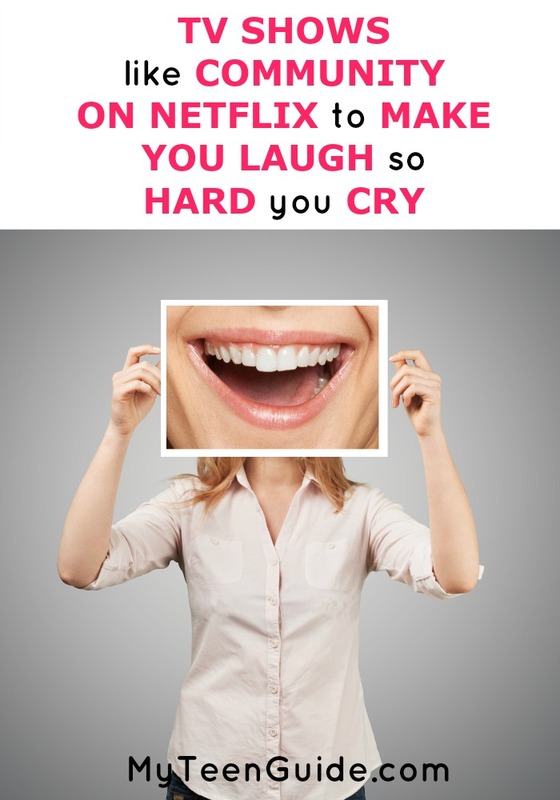 What are your favorite shows on Netflix to laugh with? Tell me down below in the comments!